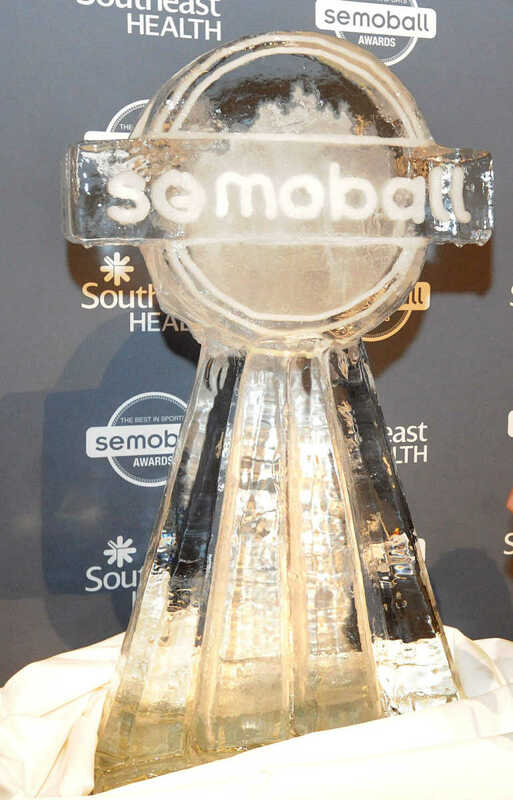 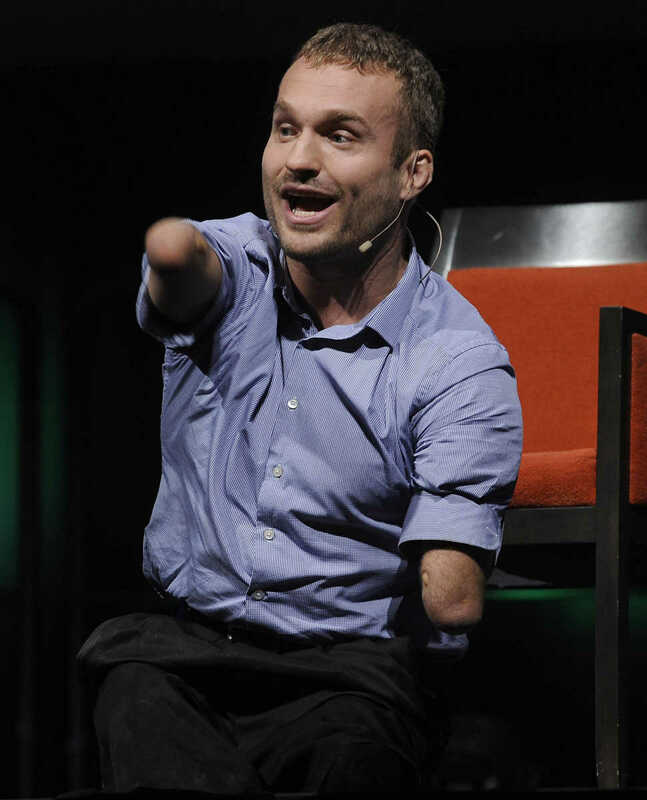 The 2014 Semoball Awards were held Saturday, June 21, 2014, at the Show Me Center. 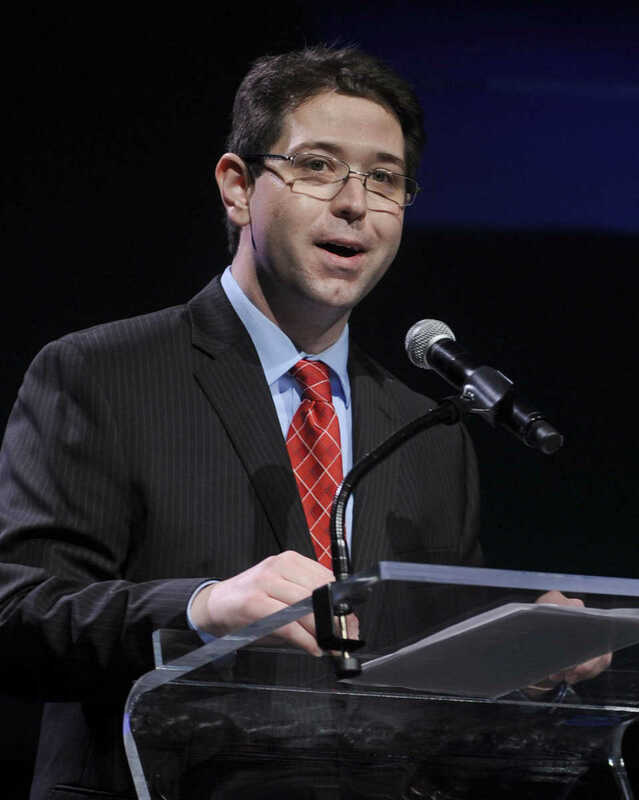 ESPN Radio hosts Todd Bonacki, left, and Erik Sean interview Dexter's Hannah Noe and Charleston's Delfincko Bogan before the Semoball Awards banquet Saturday, June 21, 2014 at the Show Me Center. 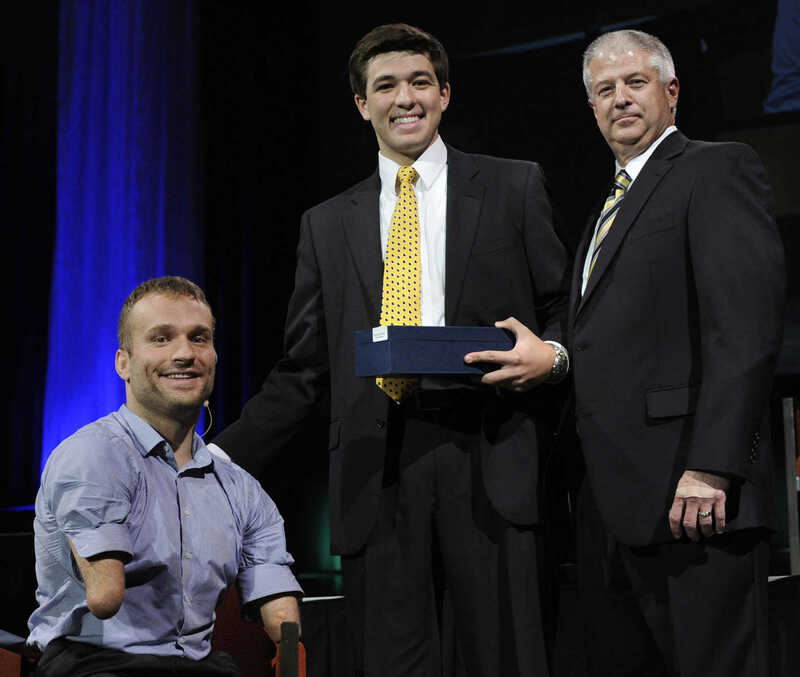 Notre Dame senior Josh Haggerty accepts the Ford & Sons Funeral Home Baseball Player of the Year award from Kevin Ford, center, with keynote speaker Kyle Maynard during the Semoball Awards banquet Saturday, June 21, 2014 at the Show Me Center. 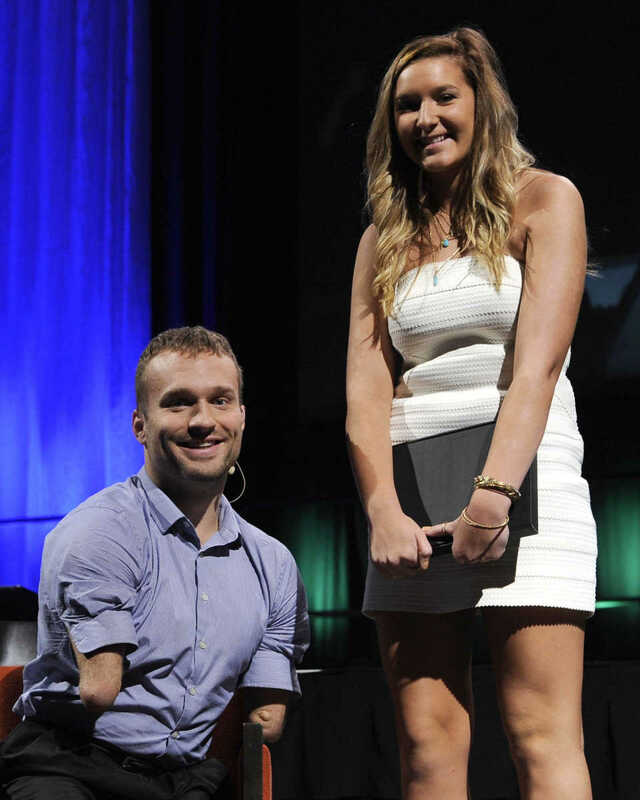 Kelly sophomore Alexis Dock, recipient of the Softball Player of the Year award, poses for a photo with keynote speaker Kyle Maynard during the Semoball Awards banquet Saturday, June 21, 2014 at the Show Me Center. 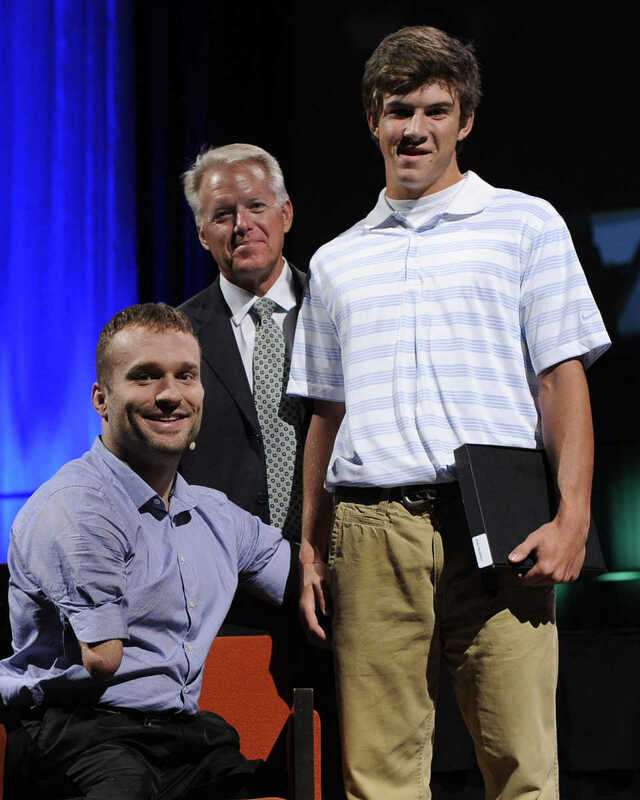 Poplar Bluff senior Jacob Sliger, recipient of the Football Defense Player of the Year award, poses for a photo with Kyle Maynard, keynote speaker at the Semoball Awards banquet Saturday, June 21, 2014 at the Show Me Center in Cape Girardeau. 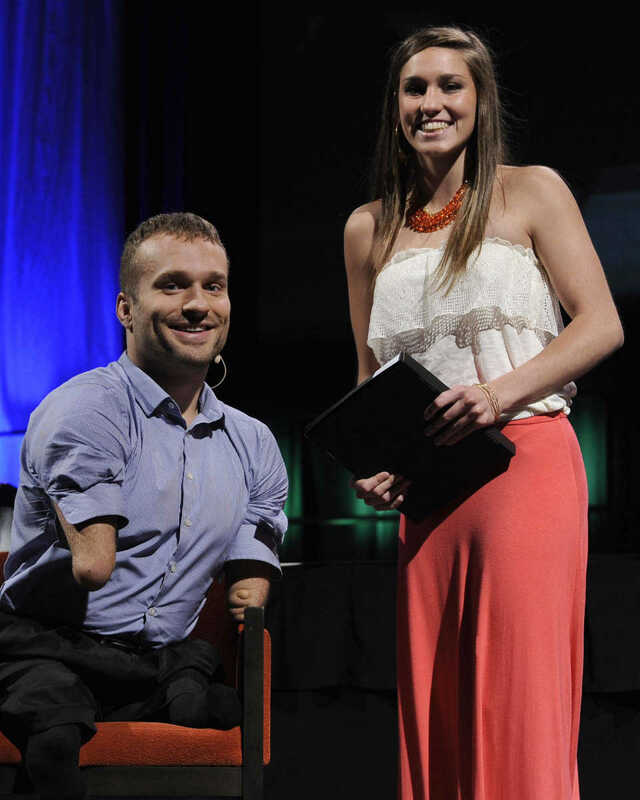 Leopold junior Caitlin Petty, recipient of the Volleyball Player of the Year award, poses for a photo with keynote speaker Kyle Maynard during the Semoball Awards banquet Saturday, June 21, 2014 at the Show Me Center. 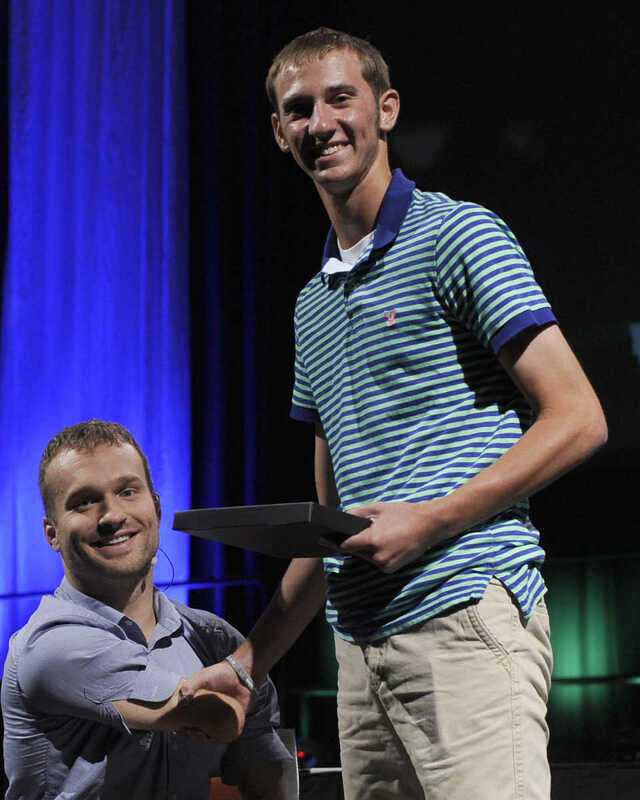 Perryville junior Luke Dobbelare, recipient of the Boys Soccer Player of the Year award, poses for a photo with keynote speaker Kyle Maynard during the Semoball Awards banquet Saturday, June 21, 2014 at the Show Me Center. 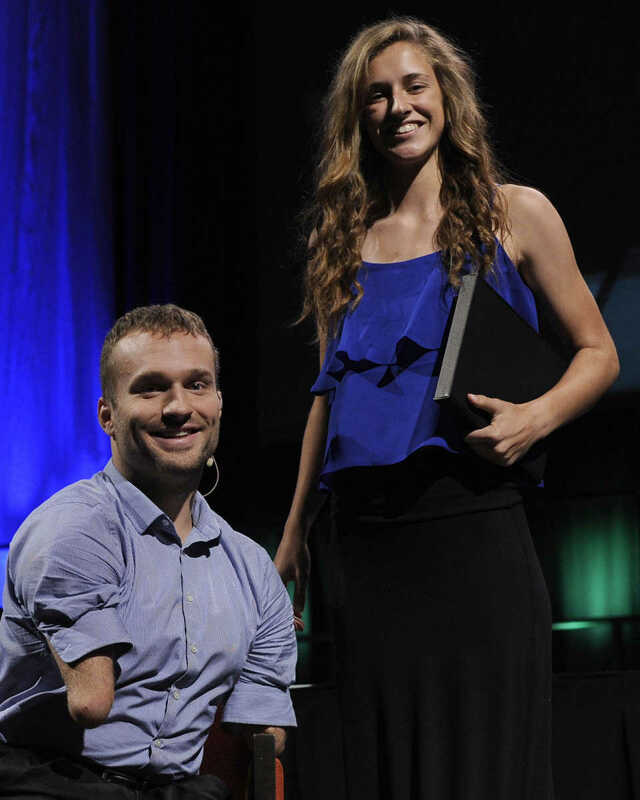 Notre Dame junior Jordan Nelson, recipient of the Girls Soccer Player of the Year award, poses for a photo with keynote speaker Kyle Maynard during the Semoball Awards banquet Saturday, June 21, 2014 at the Show Me Center. 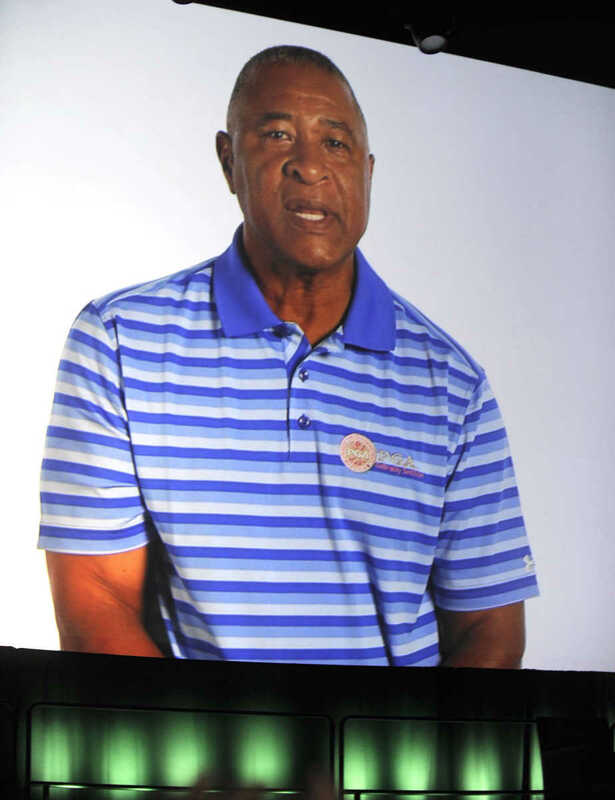 Cape Central senior Travis Simmons, recipient of the Golf Player of the Year award, poses for a photo with keynote speaker Kyle Maynard during the Semoball Awards banquet Saturday, June 21, 2014 at the Show Me Center. 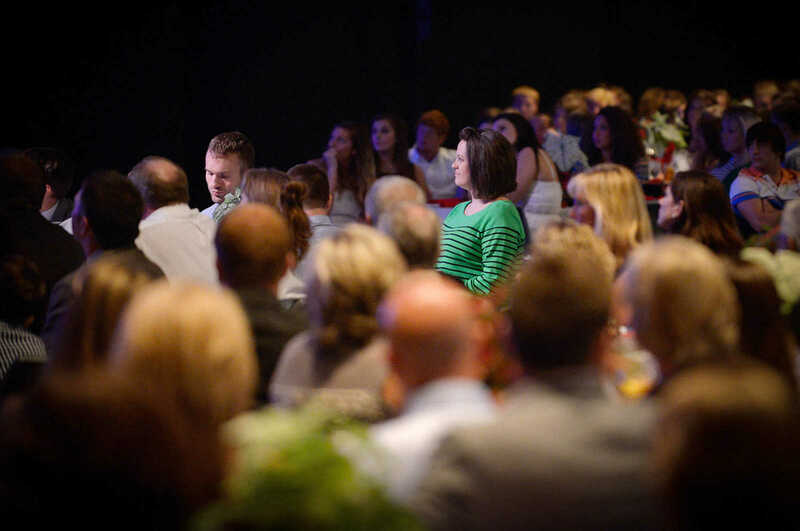 Kennett junior Kate Shetley, recipient of the Girls Tennis Player of the Year award, poses for a photo with keynote speaker Kyle Maynard during the Semoball Awards banquet Saturday, June 21, 2014 at the Show Me Center. 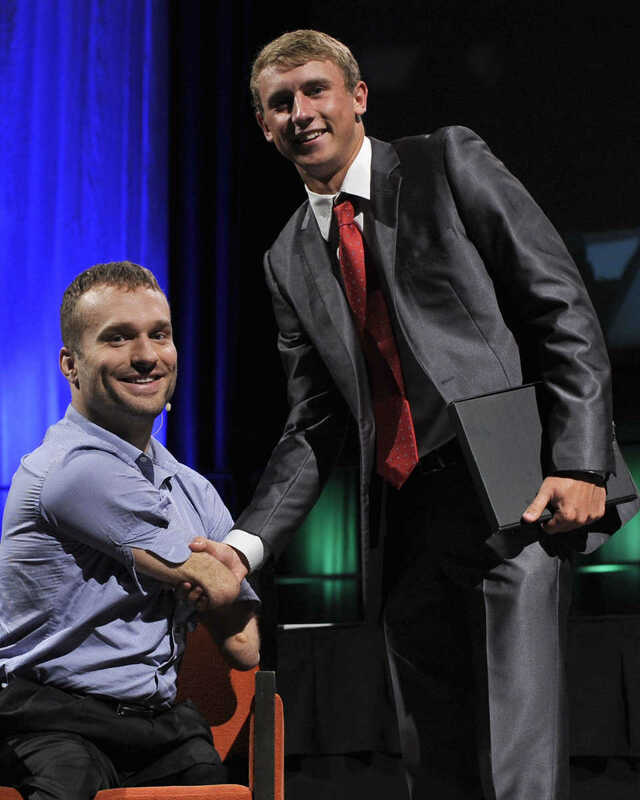 Cape Central sophomore Alex Mailes, recipient of the Boys Tennis Player of the Year award, poses for a photo with keynote speaker Kyle Maynard during the Semoball Awards banquet Saturday, June 21, 2014 at the Show Me Center. 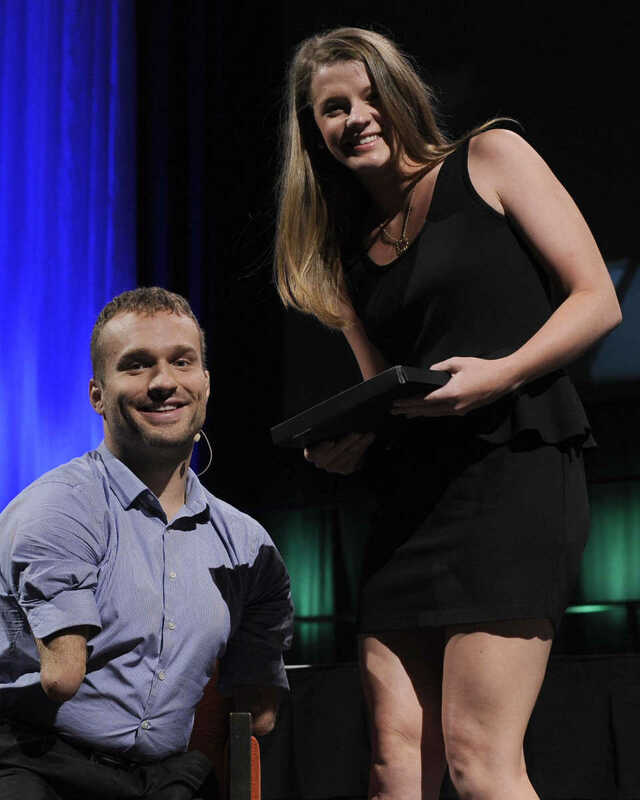 Jackson sophomore Caitlin Palmer, recipient of the Girls Swimming and Diving award, poses for a photo with keynote speaker Kyle Maynard during the Semoball Awards banquet Saturday, June 21, 2014 at the Show Me Center. 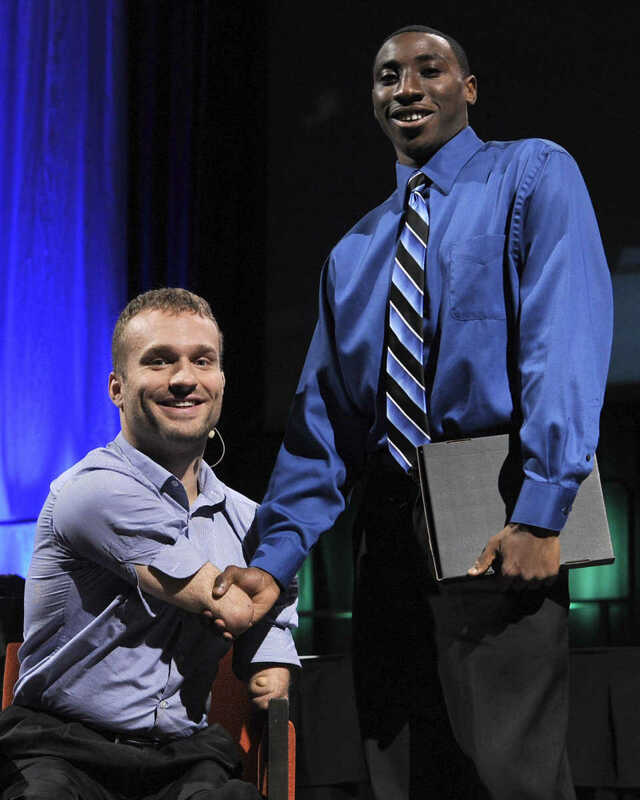 Charleston senior Devante Ware, recipient of the Boys Track and Field award, poses for a photo with keynote speaker Kyle Maynard during the Semoball Awards banquet Saturday, June 21, 2014 at the Show Me Center. 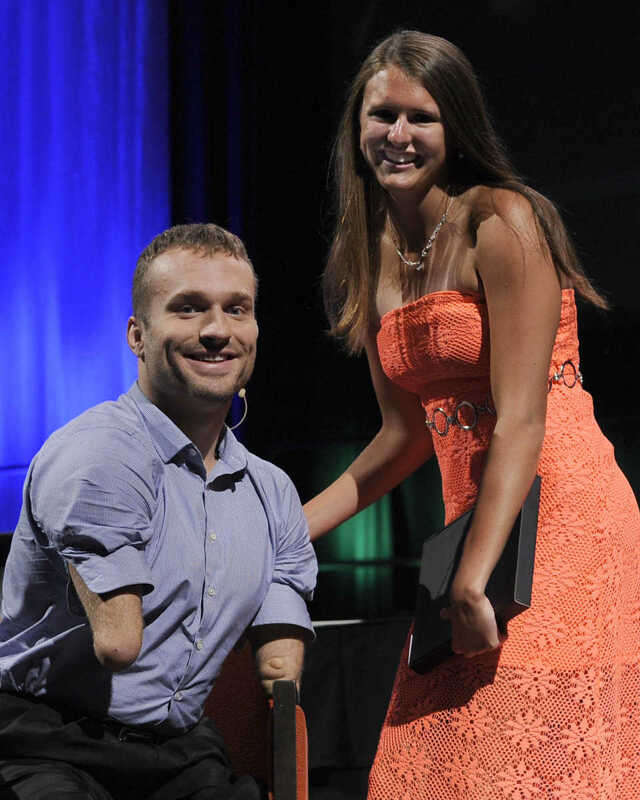 Jackson senior Sierra Maddox, recipient of the Girls Track and Field award, poses for a photo with keynote speaker Kyle Maynard during the Semoball Awards banquet Saturday, June 21, 2014 at the Show Me Center. 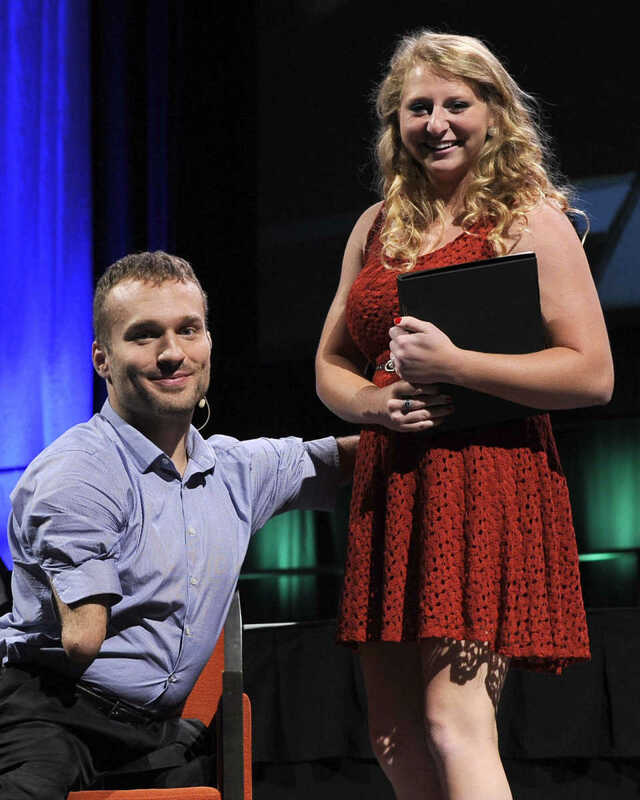 Jackson sophomore Chelsea Drum, recipient of the Girls Cross Country award, poses for a photo with keynote speaker Kyle Maynard during the Semoball Awards banquet Saturday, June 21, 2014 at the Show Me Center. 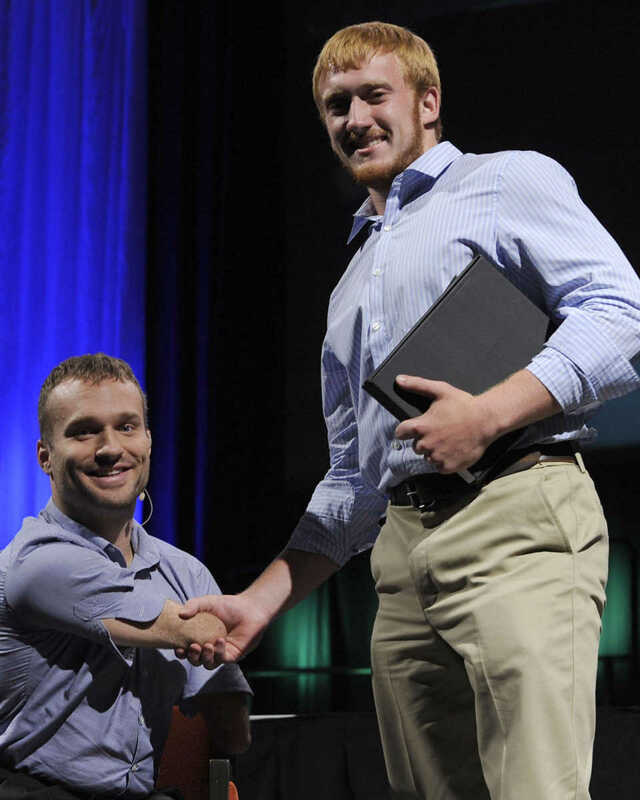 Dexter senior Trevor Waldner, recipient of the Wrestling award, poses for a photo with keynote speaker Kyle Maynard during the Semoball Awards banquet Saturday, June 21, 2014 at the Show Me Center. 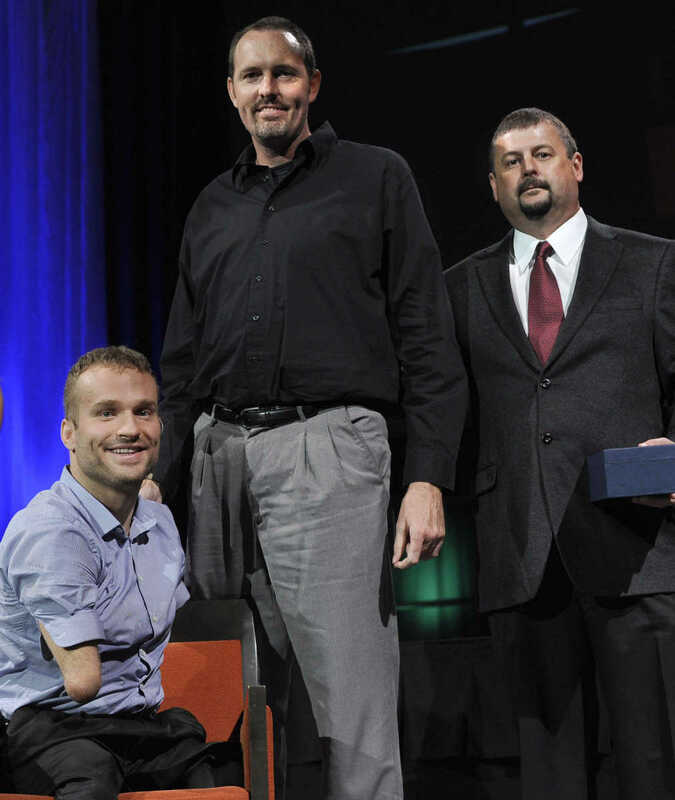 Poplar Bluff Schools superintendent Kent Keith, center, accepts the Best Fans in Southeast Missouri award from Shad Burner, right, with rustmedia, and keynote speaker Kyle Maynard at the Semoball Awards banquet Saturday, June 21, 2014 at the Show Me Center in Cape Girardeau. 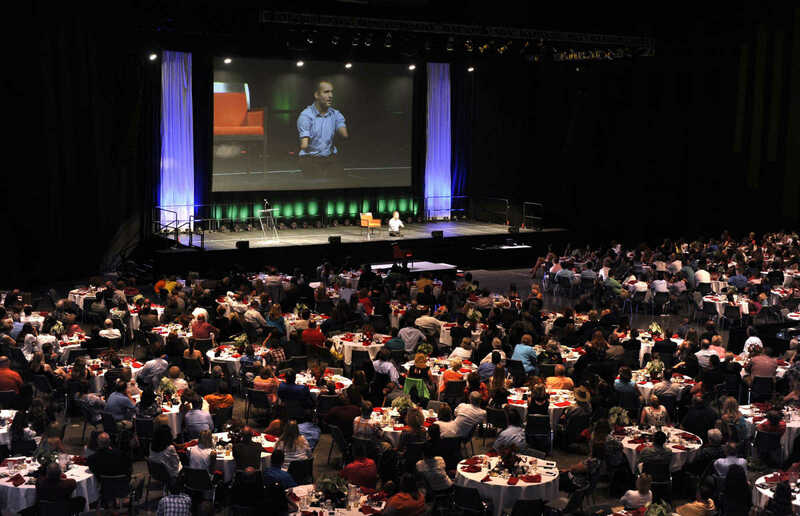 Dexter girls basketball coach Chad Allen, center, accepts the Coach of the Year award from Chris Belcher, right, with the Harry Blackwell Family of Dealerships, and keynote speaker Kyle Maynard during the Semoball Awards banquet Saturday, June 21, 2014 at the Show Me Center. 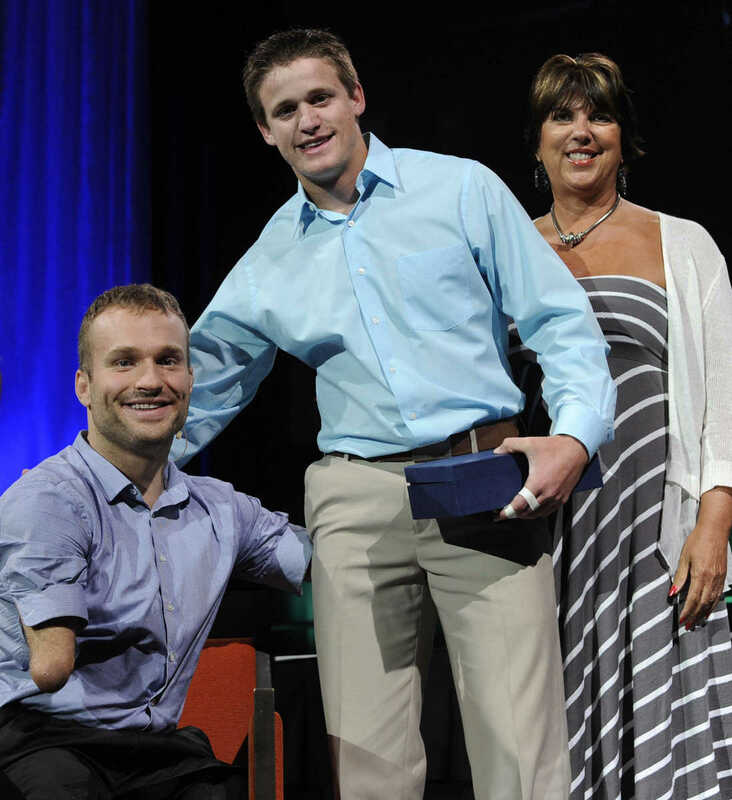 Leopold's Denai Arnzen, recipient of the Comeback Player of the Year award, poses for a photo with Kyle Maynard during the Semoball Awards banquet Saturday, June 21, 2014 at the Show Me Center. 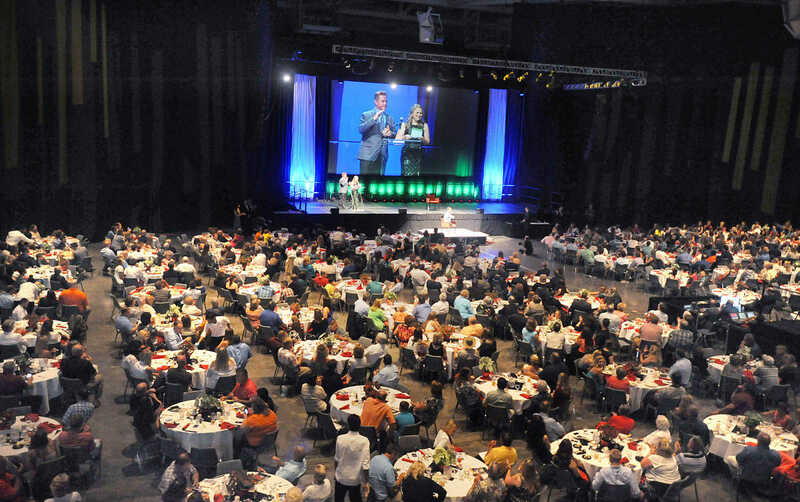 Kennett senior Declan Wallace, center, accepts the Sportsmanship Award from Debbie Sabella, right, with Technomad and keynote speaker Kyle Maynard during the Semoball Awards banquet Saturday, June 21, 2014 at the Show Me Center. 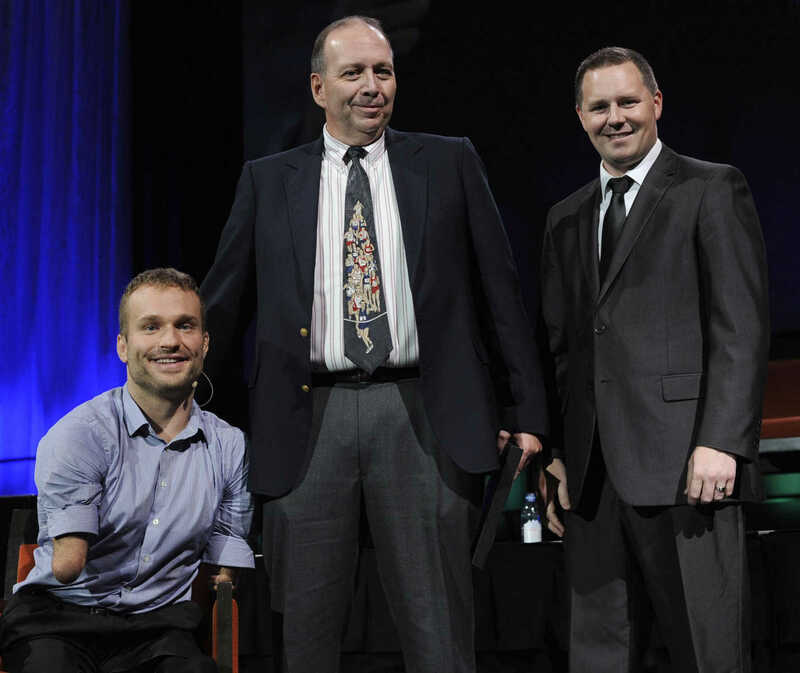 Malden senior Darren Green, center, accepts the Scholar Athlete of the Year award from Joey McLane, right, with First Midwest Bank, and keynote speaker Kyle Maynard during the Semoball Awards banquet Saturday, June 21, 2014 at the Show Me Center. 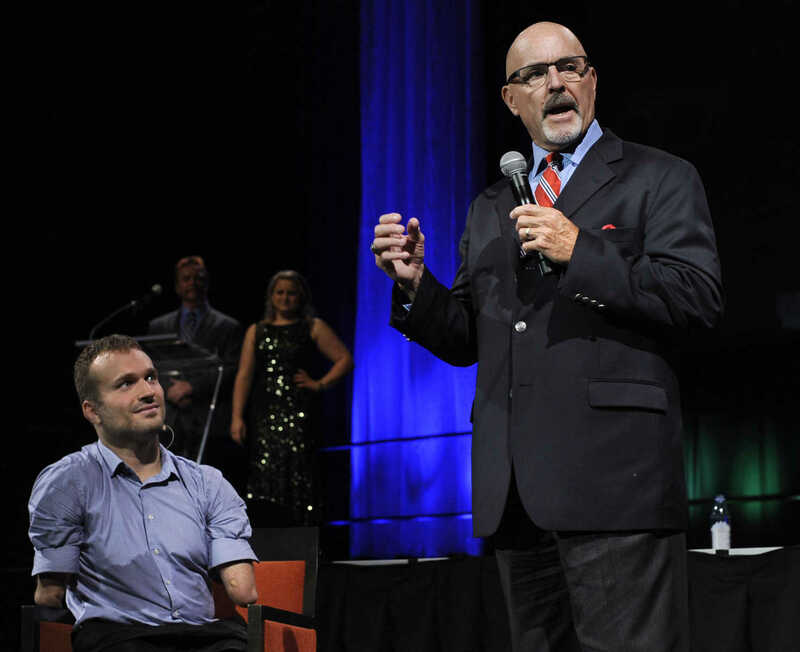 Jim Limbaugh, vice president with SoutheastHEALTH, speaks at the Semoball Awards banquet next to keynote speaker Kyle Maynard during the Semoball Awards banquet Saturday, June 21, 2014 at the Show Me Center. 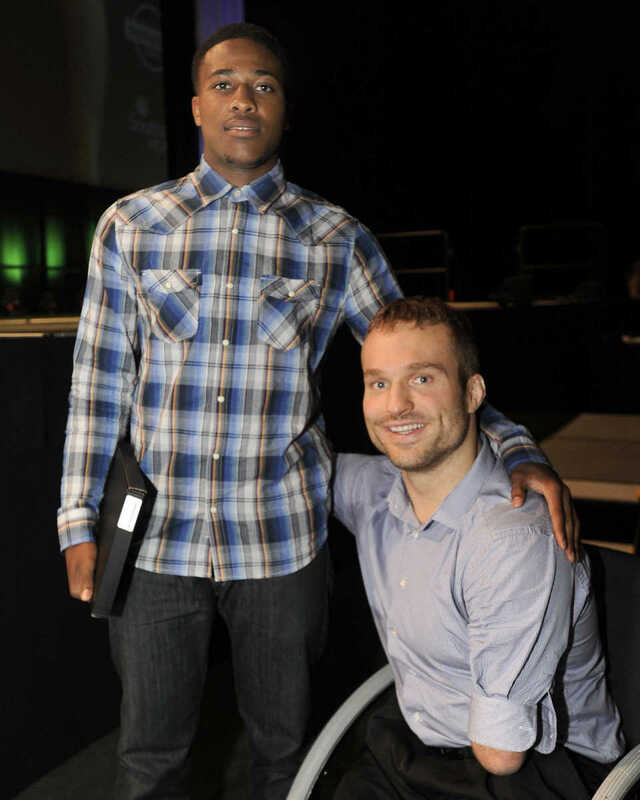 Charleston junior Delfincko Bogan, recipient of the Chap Arnold Boys Basketball Player of the Year award, poses for a photo with keynote speaker Kyle Maynard during the Semoball Awards banquet Saturday, June 21, 2014 at the Show Me Center. 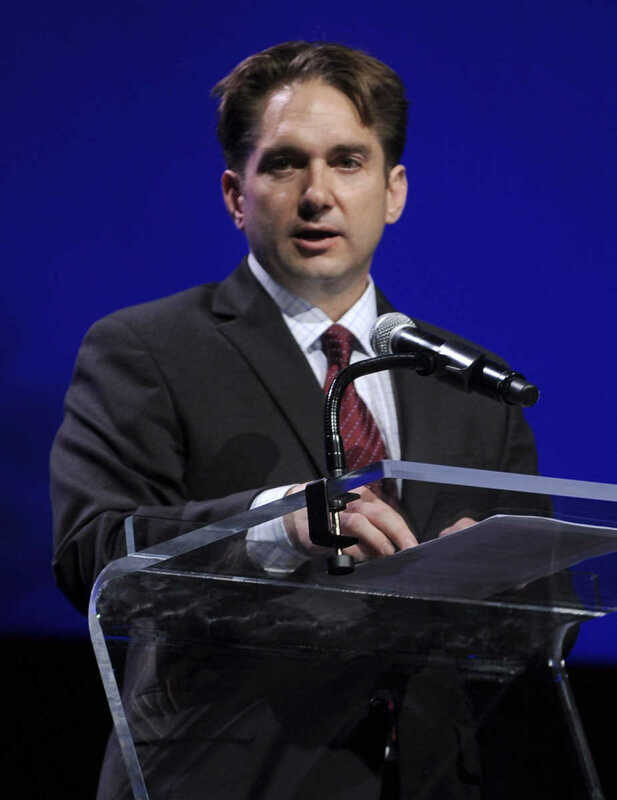 Jon K. Rust, publisher of the Southeast Missourian and co-president of Rust Communications, speaks at the Semoball Awards banquet Saturday, June 21, 2014 at the Show Me Center. 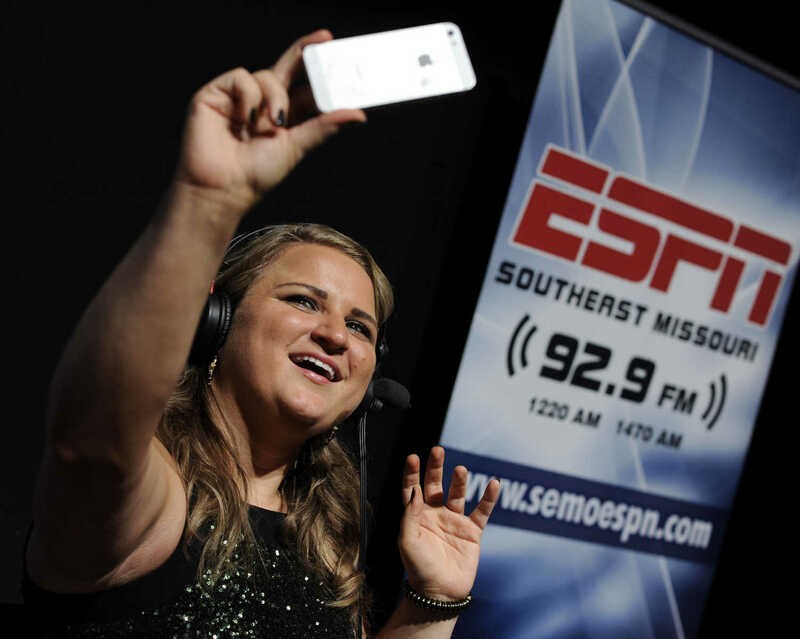 Semoball editor Rachel Crader snaps a selfie before the Semoball Awards banquet Saturday, June 21, 2014 at the Show Me Center.